But there was an amusing footnote to this failed attempt at subversion. After the second episode was aired, H B Stokes, the chairman and CEO of Bassett Foods wrote a letter of complaint on 10 November 1988 to John Nathan-Turner, stating that the Kandy Man infringed on the copyright for his company’s mascot, Bertie Bassett. Following an internal investigation, the BBC Copyright Department replied to Bassett Foods saying that there had been no violation of Bassett’s copyright, but assuring the company that the Kandy Man would not return to the series. 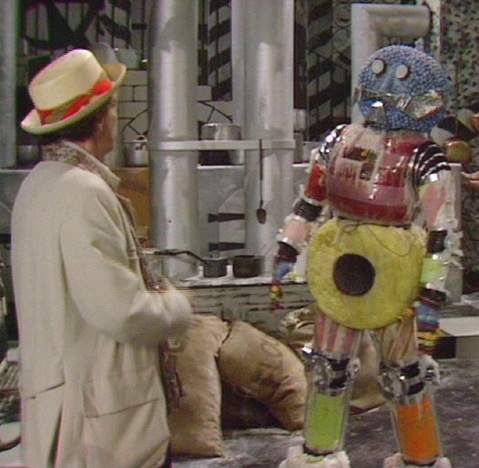 One can’t help feeling that the Kandy Man might have done a lot for the sales of liquorice allsorts. A counter claim for the creation of Bertie in 1926 by Frank Regan comes from advertising executive Stanley Back who said that in 1948 he was ‘messing about’ with sweets on the table during a marketing meeting at Bassett’s. The sweets somehow managed to form the figure that became Bertie. However Bertie had been around long before 1948. 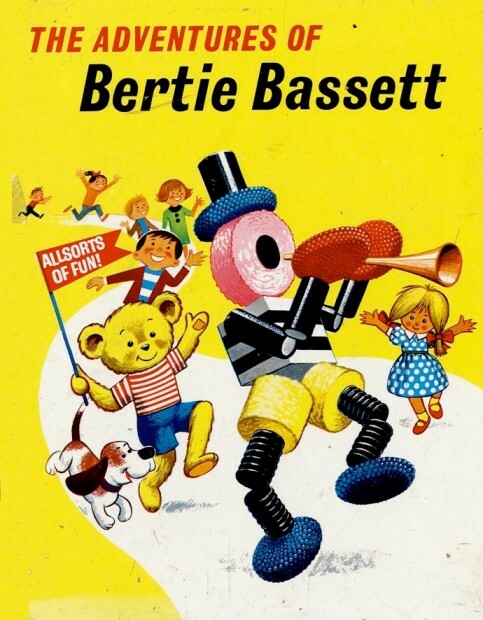 Bertie Bassett, a humanoid figure made of liquorice allsorts, who swings his cane and entertains children, is well known in British popular culture, at least to lovers of confectionery. The origins of Bertie are credited to advertising copywriter Frank Regan, who used the sweets and a number of pipe-cleaners to construct Bertie in 1926. Liquorice allsorts themselves are said to have come about in 1899 when Bassett’s salesman Charlie Thompson was discussing an order with a customer. By accident his tray of samples was knocked onto the floor. While Thompson was desperately trying to pick them up, the buyer took an interest in the mixture of oddly shaped sweets, and placed an order there and then. After that Bassett’s Liquorice Allsorts quickly went into mass production. But Kandy Man and Bertie Bassett are not forgotten. Rowan Williams, Archbishop of Canterbury, referred to the Happiness Patrol in his 2011 Easter sermon, on the subject of happiness and joy. 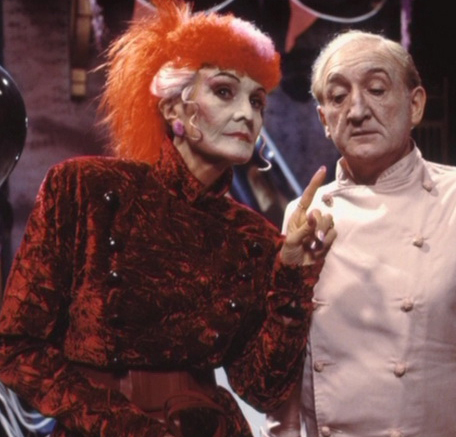 I wonder how many people would have remembered those episodes of Doctor Who? And in a bid to boost sales, Bassett’s staged a mock wedding between actors dressed as Bertie and Betty Bassett, another character made of sweets, at its Sheffield factory, in February 2009. You can watch it on YouTube here. You can read Daily Telegraph article here, and a different take on what happened in 1988 from The Guardian here.